Hornsby Law Group represents a family of Orlando personal injury attorneys who have been practicing personal injury law in Orlando for generations. The firm’s principal attorneys have nearly 50 years of legal experience between them helping people like you in Orlando, Maitland and central Florida. If you have been injured on the job or harmed by another party’s negligence or misconduct, from auto accidents to insurance disputes or investment fraud, our lawyers are here to help. A considerable portion of our cases come through referrals from former clients who appreciate the care and concern we took with them as much as the excellent results we achieved on their behalf. Unlike larger law firms, when you call with a question you are not transferred to a paralegal or case manager. At Hornsby Law, you talk to our Orlando personal injury lawyers personally from the very start and throughout the course of your representation. Numerous accidents and injuries occur on a daily basis in the Orlando area and across the state of Florida. For example, in a single year, the Florida Department of Highway Safety and Motor Vehicles reported that nearly 211,000 individuals sustained injuries in traffic-related collisions within our state. This statistic does not even take into consideration the many other types of accidents that cause injuries each and every day. When you sustain a personal injury, you may experience significant pain and suffering, emotional trauma, and injury-related challenges. Your primary focus should be on your physical recovery and your stress should not be increased by financial concerns caused by medical bills and time missed from your job. At the Hornsby Law Group, our Orlando personal injury attorneys seek financial compensation from any responsible parties on your behalf so that you can concentrate on your health and move on with your life. The legal issues in a personal injury case can vary depending on the type of accident that occurred. Whether your accident occurred on the road, on the job, in a business, or anywhere else, our experienced attorneys know how to handle your unique case to obtain the most favorable results possible. Contact our experienced Orlando personal injury attorneys for information and assistance today. Even if you do not believe that you sustained serious injuries, it is always wise to seek a thorough medical evaluation as soon as you can following any type of accident. Some injuries may not be immediately apparent and a timely diagnosis can serve as important evidence that the accident in question was, in fact, the cause of your injuries. If you are diagnosed with any type of injury that requires treatment, your next call should be to discuss your situation with a member of our skilled legal team. Employers who fail to meet requisite health and safety standards. Any party that caused or contributed to your personal injuries should provide full and just compensation under the law. The exact value of your personal injury case is closely tied to the nature and severity of your injuries and the extent of your losses. For instance, if your injuries are long-lasting and severe, your losses are likely extensive and may include past and future medical expenses, lost wages, lost future earning potential, pain and suffering, emotional distress, loss of enjoyment of life, permanent disability, and more. Even if your injuries are relatively minor, however, you still may be entitled to recover for your medical bills and any other losses you experienced and you should not hesitate to consult with our office today. Our Orlando personal injury attorneys will strive to obtain the compensation you deserve in your particular case. Our focus at Hornsby Law is to stand up for the rights of people in Orlando, Maitland and central Florida who have been injured or wronged because of the intentional, negligent, fraudulent or illegal misconduct of another. Our practice includes representation of victims of auto accidents and other types of personal injury, as well as resolving insurance disputes and helping victims of investment fraud recover their losses. Contact our successful Orlando personal injury law firm today to find out more. If you have been injured by the negligence or wrongful conduct of another, you may be able to recover compensation for your legal damages, which include your past and future medical expenses, lost wages, mental anguish, and pain and suffering. However, the burden is on you to prove all of the aspects of your claim, including the negligence or fault of the other party and the extent of your damages. At the same time, you must fight off the insurance company’s defenses and attempts to deny liability or minimize the value of the claim, which they often do by saying you were partly to blame for your injuries. At Hornsby Law, we take on the insurance companies and fight for a favorable jury verdict in court or a favorable settlement out of court. We frequently handle a wide range of personal injury matters. In addition, we represent people injured on the job and at constructions sites, in addition to helping victims of dog bites, defective products, and airplane, train and boating accidents. We help those harmed by hospital negligence as well as victims of nursing home abuse and neglect. Our practice encompasses people with the most serious injuries, including back and neck injuries, quadriplegia and paralysis, and brain damage. Contact our Orlando personal injury attorneys for help with your case. For workers injured on the job, we help make sure they get the benefits they are entitled to from workers’ compensation. We help workers through the bureaucratic maze and stand up to employer defenses and company doctors who try to minimize the injury or deny their liability to pay a claim. As experienced trial lawyers, we can take your case all the way through the system, as well as file civil litigation in the case of third party liability or when your injury was caused by the employer’s intentional or reckless acts. Hornsby Law helps homeowners and other policyholders when their claims for benefits are denied, or when they are being mistreated by their insurance company. We handle residential and commercial property claims and any represent policyholders across all lines of insurance in the resolution of insurance disputes and insurance bad faith claims. Our firm has particular experience and expertise in helping investors recover for investment loss and securities claims where broker misconduct is to blame. We hold investment advisers and brokerage firms liable for their fraudulent actions or lapses in judgment and supervision and the harm that they cause. From unsuitable investments and excessive trading activity to misuse of UBS Puerto Rico Municipal Bonds or life settlement investment products, Hornsby Law provides skilled and knowledgeable advice and representation to help you recover for losses brought on by broker misconduct. When Is The Right Time To Discuss Your Case With An Attorney? The right time to call a skilled Orlando personal injury attorney is now. Florida law provides a strict statute of limitations for filing a personal injury case, giving victims four years from the date of an accident and injury to file a claim. Preparing a claim can take time, however, and often involves extensive investigation into the circumstances surrounding the incident in question. Investigation can help identify all possible negligent parties, gather evidence of their negligence, gain a full understanding of the extent of your injuries and the nature of related losses, among other things. Having all of this information is important to prepare and file the most effective claim possible. For this reason, you never want to wait until the last minute to call a personal injury lawyer to discuss a potential case. Instead, as soon as your health is stable, you should consult with an attorney in our office for a free case evaluation and legal counsel. 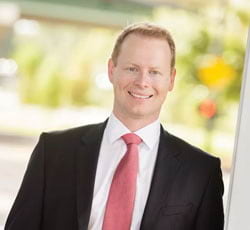 Below are answers to some of the questions the attorneys at Hornsby Law Group encounter most frequently as we help people in Orlando, Maitland and central Florida with their legal needs in areas such as auto accidents, workers’ compensation, homeowners insurance claims, and investment fraud. If you have other questions and need to speak with an attorney in one of these areas, contact our office for a free consultation with one of our able and experienced lawyers. If I wasn’t wearing my seat belt when I was hit, can I still recover compensation from the negligent driver who hit me? Seat belts save lives and reduce injuries in car accidents, and should be worn appropriately. However, there are many times when wearing a seat belt would not have lessened the severity of the injury. Experienced auto accident attorneys know how to investigate the accident and evaluate your injuries to determine whether seat belts were a factor in your case or not. The insurance company defense lawyers may argue that lack of a seat belt contributed to your injuries, and they may also try to claim you were negligent in other ways, such as speeding, not paying enough attention or not trying hard enough to avoid being hit. If they are successful in attaching some of the blame to you, your monetary award will be reduced proportionately. As your attorneys, we fight to make sure you are not unfairly stuck with blame for the accident you did not cause. Can I get punitive damages if the other driver was speeding or reckless? In most serious car accident cases, your damages are limited to amounts that compensate you for your losses, such as your medical expenses, lost wages, and pain and suffering. Punitive damages, meant to punish the other party, are limited to cases where the defendant’s misconduct was either intentional or amounted to gross negligence. A higher standard of proof is required to prove gross negligence as opposed to ordinary negligence, but in appropriate cases we will pursue punitive damages to punish the defendants for their bad actions and have them serve as an example to others that society will not tolerate such misconduct. What kinds of workers’ compensation benefits are available for a worker injured on the job? Generally speaking, you can receive payments for medically necessary treatment, including prescription medicine or medical devices. You may also receive temporary partial disability or temporary total disability (TTD) benefits at two-thirds of your pre-injury average weekly wage for up to 104 weeks or until you attain maximum medical improvement. You may also be able to receive impairment benefits based on a permanent disability rating, paid at three-fourth’s of the average weekly TTD benefits for a specified period, depending on your rating. Don’t try to navigate the workers’ compensation system without the aid of an experienced workers’ comp attorney. Can I sue my employer for wrongful conduct if they are responsible for causing my workplace injury? The workers’ compensation system uses an administrative claims process instead of a lawsuit, where you are not required to prove your employer was at fault or negligent in order to recover compensation for an on-the-job injury. While in theory this should make it easier to receive compensation, you are at the same time prohibited from suing your employer for damages beyond what workers’ compensation provides. A limited exception exists when the injury was caused by an intentional act of the employer which was virtually certain to result in injury or death. An example may be an employer who forces you to work in a dangerous position without necessary safety protections required by law. The attorneys at Hornsby Law Group are experienced in workers’ compensation claims as well as civil litigation and can work to make sure you receive the maximum compensation that you are entitled to. Does my homeowners insurance policy cover my jewelry if it is lost, stolen or destroyed? The actual terms of your policy will tell you what is covered, but in general you are covered for your losses up to your policy limits. If you have some particularly valuable items, such as jewelry, you may want to list them separately from general household items and have them insured at their full, appraised value. This will require an additional premium but will help make sure you are covered in the event of their loss. Make a list of all your valuable possessions and keep it in a safe place such as a safety deposit box or at your office, so that the list doesn’t get destroyed in a fire or other disaster along with your belongings. Keeping photographs of unique jewelry can also be helpful in the event of theft. Churning means that your broker is engaging in excessive buying and selling of securities in your account for the purpose of generating commissions as opposed to the purpose of pursing your investment goals. Churning and other forms of excessive trading may be illegal, unethical, and expose the broker to civil liability, meaning you may be able to recover compensation for the damage done to you. Can my broker be liable for recommending investments that were unsuitable for me? Yes. Your broker should only recommend investments that are appropriate to your goals, objectives, age and other factors. Brokers owe many fiduciary duties to their investors, including loyalty, fidelity and good faith, particularly when they know you are relying on them for advice. They may be liable for misrepresentations or omissions, unauthorized trading, negligence and other forms of misconduct. Brokerage firms also have an obligation to supervise their brokers, review trades which are submitted, and investigate any suspicious activity. Hornsby Law Group is experienced in the area of investment fraud and can help you determine if you have a claim against your broker. Many injured accident victims do not know where to turn to obtain financial recovery for their losses. If you have sustained injuries, you should look no further than the Hornsby Law Group in Orlando and Maitland. Our team has over four decades of combined experience assisting injured individuals and our dedication has secured millions of dollars in settlements and verdicts for our clients. Our personal attention to our clients combined with our proven record of successful claims should give you confidence in our skill and ability to handle your personal injury claim with the utmost of care. At Hornsby Law, we take the time to sit down with you and are responsive to your unique, individual needs. Our clients feel comfortable when they talk to us, whether they are able to come to our office or if we need to meet them at their home or in the hospital. Give us a call anytime at (407) 499-8887 in Orlando or toll free at (888) 609-9755. You will be greeted by a live person any hour of the day and receive a quick response from one of our injury attorneys. We can also arrange weekend or evening meetings by appointment when necessary. Spanish language services are available, and we handle cases on a contingency fee basis, which means we don’t charge a fee unless and until we recover for you. Don’t put off talking to our professional Orlando personal injury attorneys and miss out on the valuable benefits and compensation you need and deserve. Contact Hornsby Law Group today.